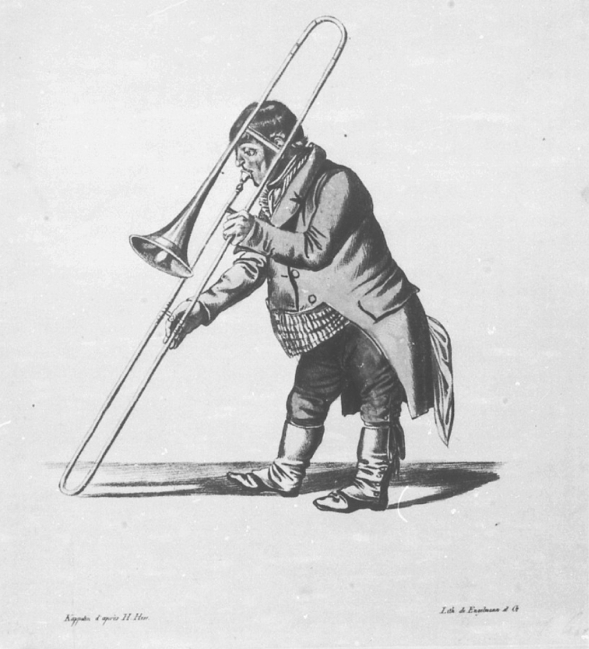 I recently found the below image, which I will be adding to the Trombone History Timeline (19th century-first half). It is a print by a respected German artist, apparently produced in one of his more whimsical moments. 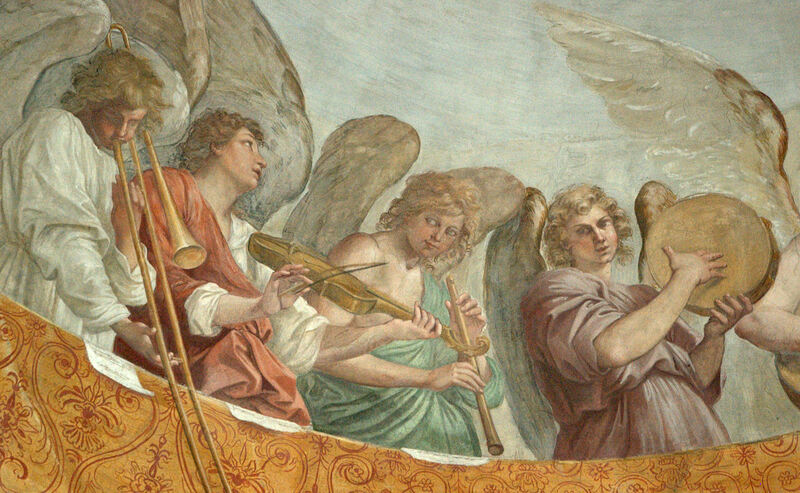 At 6’4″, I am often asked if you need to be tall to be a trombonist. The answer is of course not (many of my favorite trombonists are not particularly tall), but it doesn’t hurt. c. 1840—A lithograph by respected German artist Heinrich Maria von Hess (1798-1863) portrays a short trombonist (see below image; public domain) (German National Museum, Nuremberg).